You love snacks, right? Of course you do. 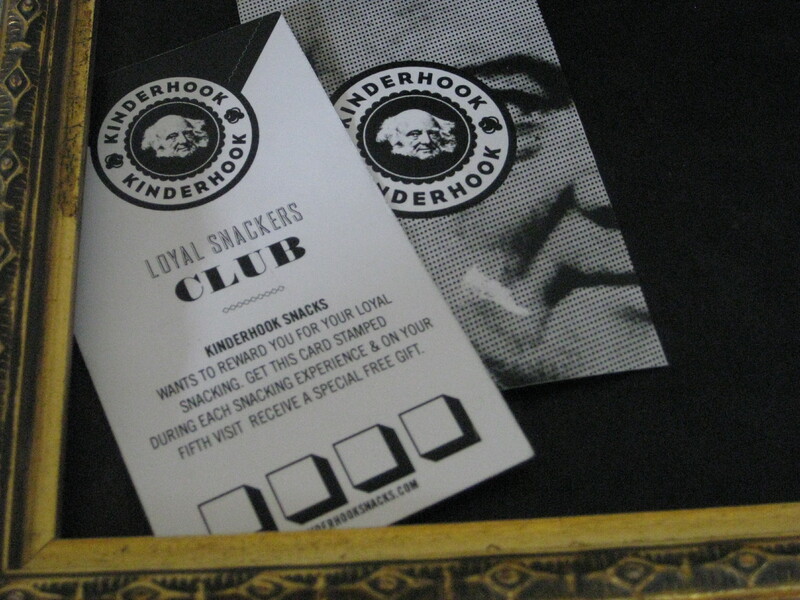 Well, now there is a club that celebrates all things snacks....the Loyal Snackers Club!For only a $15 yearly membership, you will get your very own membership punch-card, Kinderhook recipe cards and Van Buren garb. The best part? FREE snacks. Yep, that's right. FREE. Get your membership card stamped during your weekly snacking experience at Kinderhook and on your fifth visit you'll get the Snack of the Week for zero dollars. Plus, we'll give you the snack of the week when you sign up today!! This week we're featuring a savory snack of the week: Buckwheat Herb Cheese Straws with a homemade Honey Mustard. A spicy, crispy, flavor-full snack! We'll also have fresh summer plum jam tarts (thanks to Infused Spreads! ), chocolate puddle cookies, tequila lime and sweet black pepper popcorn as well as our sweet and spicy nuts and packs of chocolate chip cookies and shortbread. We missed you all after a break from the market last week for ArtScape...come see us!! What a fabulous idea! The Buckwheat Herb Cheese Straws sound amazing! You would love these!! We’ll have to make them again for your visit this fall.